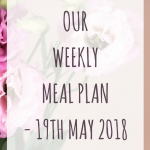 May 25, 2018 By Morgan M Woods 1 Comment This post may contain affiliate links. 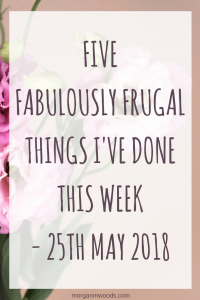 Here are my five fabulously frugal things I’ve done this week – 25th May 2018. I made a homemade unicorn cake for my girlies birthday this week. It turned out really well (I was really worried I would fail) and it tasted great too! 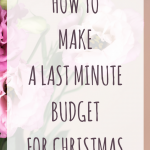 This saved us so much money as if we’d bought from someone else it would have cost us double. 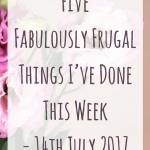 We went on a freebie haul this week picking up various offers from Shopmium and Checkout smart. 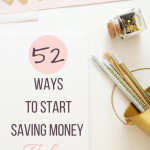 As we are nearing the end of the month I started withdrawing side hustle money ready to go into savings. 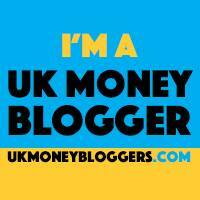 I made withdrawals have been made from Prolific, OhMyDosh!, Topcashback and Quidco. We made a start on planning free activities for next week while the kids are off school. 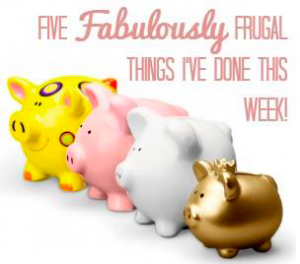 We love doing the simple things such as picnics at the park, bike rides and visiting family. I bought a basil plant instead of a bunch of basil from the supermarket. I love basil so we get through plenty of it, the plant will hopefully last us a good few months. I’m so glad that the birthday cake worked out well and it actually almost looked professional! Well I thought so anyway! My daughter had a fantastic birthday though which was the main thing. She enjoyed her day at school with all her friends and we had a yummy party food tea when she got home. 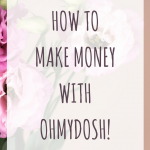 How to make money with OhMyDosh!